These machines have a monoblock cast iron bed with 4 + 1 guides and V-shaped self-centring double guiding, hardened and rectified. They combine flexibility (carriage crossing) with maximum rigidity, precision, durability and excellent ergonomics. Thus, the worker can, comfortably and safely, supervise the machining process at all times. These characteristics make the GLH lathe excellent for different machining operations, allowing the production of a wide range of large parts. Good access to the work area, safe and ergonomic. Great stability and excellent damping. 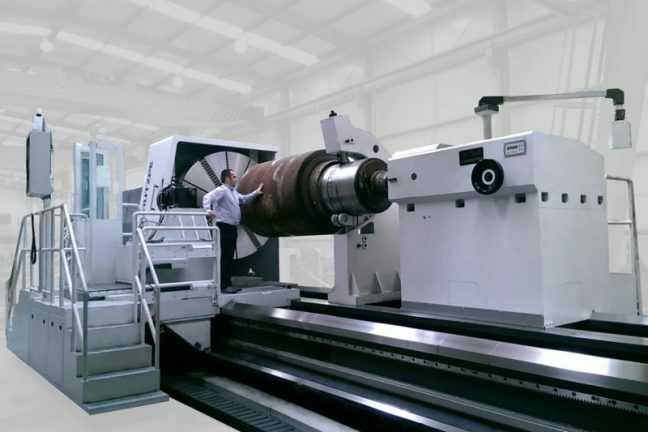 The machines can be equipped with milling, grinding, boring units, etc. to allow very varied machining to be performed.